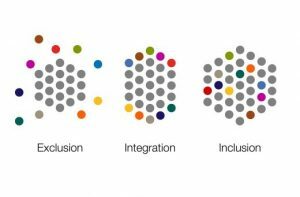 What is Diversity, Equity, and Inclusion (DEI)? 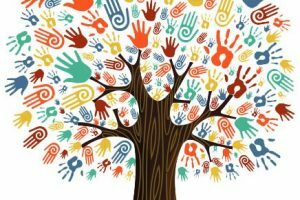 Diversity is the presence of differences that may include race, gender, religion, sexual orientation, ethnicity, nationality, socioeconomic status, language, (dis)ability, age, religious commitment, or political perspective. Populations that have been-and remain- underrepresented among practitioners in the field and marginalized in the broader society. 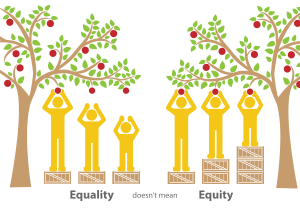 Equity is promoting justice, impartiality and fairness within the procedures, processes, and distribution of resources by institutions or systems. Tackling equity issues requires an understanding of the root causes of outcome disparities within our society. Inclusion is an outcome to ensure those that are diverse actually feel and/or are welcomed. Inclusion outcomes are met when you, your institution, and your program are truly inviting to all. To the degree to which diverse individuals are able to participate fully in the decision-making processes and development opportunities within an organization or group. It is here where we encourage innovative change. While change might seem hard, especially related to diversity, equity, and inclusion, it is not impossible; it requires strong change agents (a village) and YOU! We encourage you and your village to be the change you want to see. This tool has: resources, discussion, and expert interactions that will aide you in your change management journey. Go ahead, explore, innovate, and continue to build the change you want to see. How Can You Use This Tool to Promote DEI? You may want to get ideas for a program that you are starting or implementing. Or you may want to know what is being done in the eXtension DEI program area. In either case, you have come to the right place! This site is designed to give you quick access to information, experts, training, and resources that can help you develop or conceptualize your program. Not involved in a program yet? This site will give you an excellent foundation for understanding the topic, and perhaps inspiring you to start a program. If you don’t find what you are looking for here, contact one of the program chairs in the About Us section and we will be glad to help. And, true to our mission of promoting Inclusion, we welcome (through the Suggest a Resource section) any ideas or resources you think would be helpful to the community and would like to share. Be part of the collective wisdom of this community in promoting DEI! This tool is powered by a database that indexes each resource by DEI competency, issue, and activity. When relevant, additional categories are used to describe DEI accountabilities, assessments, tools and resources. The DEI Competency Area option at the top of the page represents competencies within the DEI topic. Use the competency options to find information and resources related to these areas of individual or program-level competency. You can navigate through all of the resource cards using the arrows at the bottom of the screen. Additionally, you can find items using the Search box, or find an item using the list at the right, organized by Competency, Issue type, and Activity. Once you navigate to a particular resource, all of its associated DEI characteristics are visible. A companion eFieldbook is also available. The First Edition eFieldbook for the eXtension Impact Collaborative Summit of April 2019 was designed to support IC Summit participants and is intended to be a tool that can provide a bridge of information through program development and evaluation. The current edition of the eFieldbook will remain live through October 2019 to take in feedback, suggested resources, and questions to the organizing committee. After October, a second edition of the eFieldbook will be developed in preparation for the October 2019 Impact Collaborative Summit.